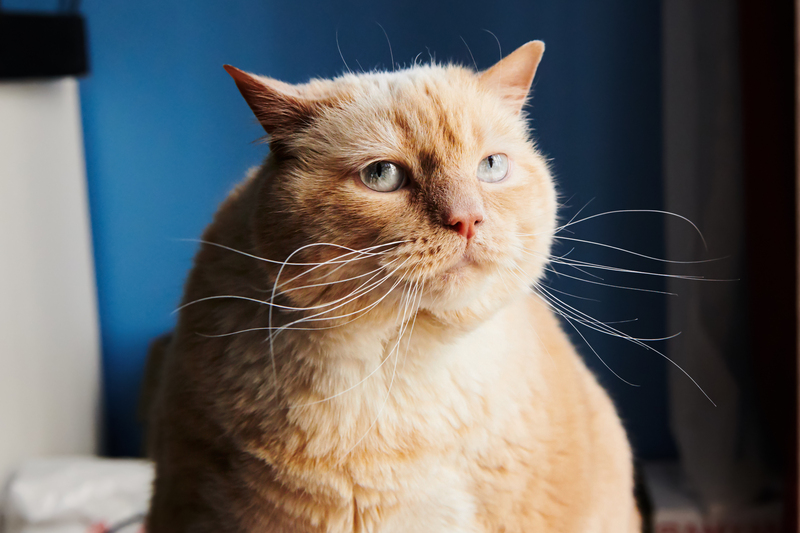 Obesity is the most common preventable disease in dogs and cats. It is defined as an accumulation of excess body fat. Dogs and cats are considered overweight when they weigh 10-20% above their ideal body weight. They are considered obese when they weight 20% or more above their ideal weight. What factors affect weight management? Overfeeding is a common cause of obesity. Other factors that affect their weight are age, neutering, inactivity and excessive amounts of treats or table food. An easy way to evaluate your pet’s weight is to examine the ribcage and abdomen. You should be able to feel the ribs easily and see an abdominal “waist” or “tuck” from above or from the side. You veterinarian will evaluate their body weight and condition at their yearly checkup. How do I help my pet lose weight? Your veterinarian can help adjust feedings, determine portions and meal frequency specifically to promote weight loss. Your pet may need a specific nutritional product to help with healthy and safe weight reduction. It is very important to have regular weigh-ins, every 2-3 weeks, to determine that weight loss is not excessive and to determine when enough weight has been lost. Once an ideal weight and condition are achieved, it is important to maintain with an appropriate diet, portion control and an active lifestyle. Call us at (504) 482-2173 to schedule your pet’s appointment today!